Today we will be picking two of the mega Giants of the car industry, pitting two of their most impressive products from the same segment, the multipurpose vehicle category. 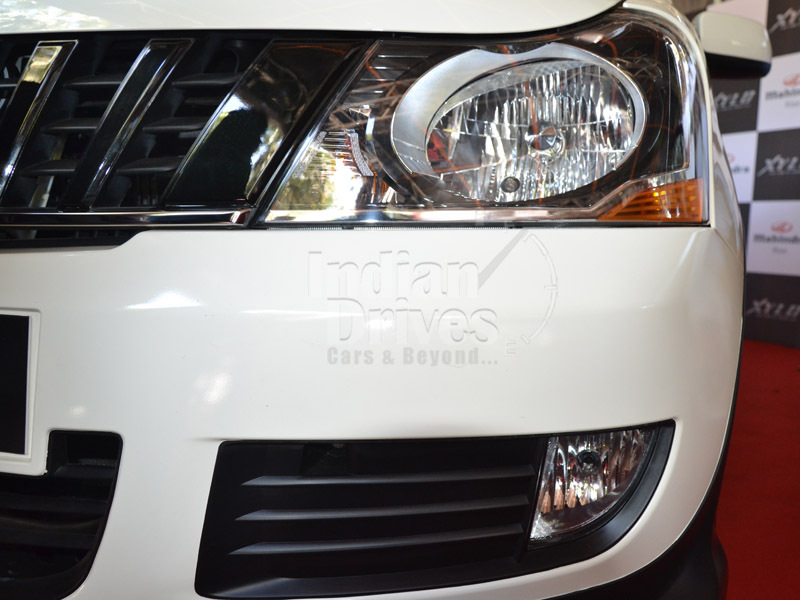 We are going to be comparing likes of the Toyota Innova and the Mahindra Xylo. The Toyota Innova has always been a forerunner in this category but with some serious upgrades Xylo seems to be catching up. We will be taking into account every aspect of the two cars and see how they measure up against each other. These cars that we are talking about provide extremely good value, are good for the Indian turf, best if you have large families and have to make frequent runs to the airport or the supermarkets. The Mahindra Xylo has been at it for quite some time now, but it has not been able to dethrone the king of the segment as of yet. Lately both these cars have been upgraded and revamped and it started off a whole different ballgame altogether. Of the two designs the Xylo has an M Hawk engine in its upgraded version which might be tipping the scales in its favor in this cut throat race. The Toyota comes with bigger ridges on the bonnet, a bigger grille, revised bumper and has a more cabin like fret, and finally wider air damps. 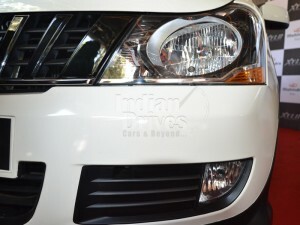 Other details that garnish the latest Innova are the wider chrome in the tailgate, rear view mounted indicators, new side skirts and profile tail lamps. It looks better and has a better robust built quality than that of its competitors. This gives it the upper hand over the Xylo which still hasn’t worked its way up to reaching the standards (in terms of looks) of that of the Innova. But nevertheless the Xylo looks a lot more proportionate than its predecessor and has a less gawky look than what it strutted before. Little color play and stickering has given a whole different feel to the same Xylo. It has restyled headlights and squarish grille that slants down to the wider but smaller bonnet. Blackened part of the skirting on the bumper edges and the side skirts that makes itslooks more gamely.The Xylo looks less tall and a lot less cumbersome. Now coming to the interiors, the Mahindra Xylo has gone for an upgrade. Leather seats and coffee brown plastics with some smaller details such as the robust door handles and a rounded gear knob have made it into the Xylo. The digital drive assist system is a carryover from the old Xylo that retains the same type of dashboard design. 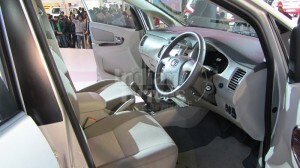 Cruise control systems, Bluetooth connectivity and steering mounted controls for the audio player are new inclusions into the Xylo. Along with these come some new gimmicks like that of voice recognition which allows for command inputs for controls. Although the practicality is under question, yet it’s a crafty and interesting inclusion. 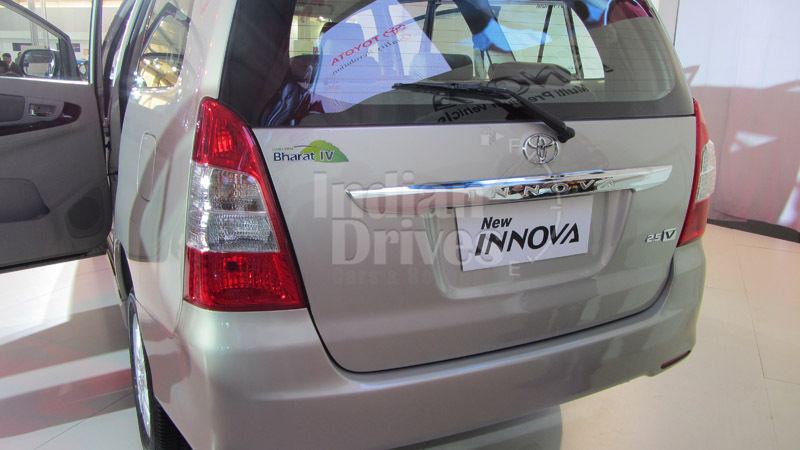 Now focusing on the Innova, we find some neat changes. The new Toyota Innova has a better rear camera which leaves nothing to guesswork while parking. Other technological upgrades include climate control (not available in the Xylo) and reworked instruments. 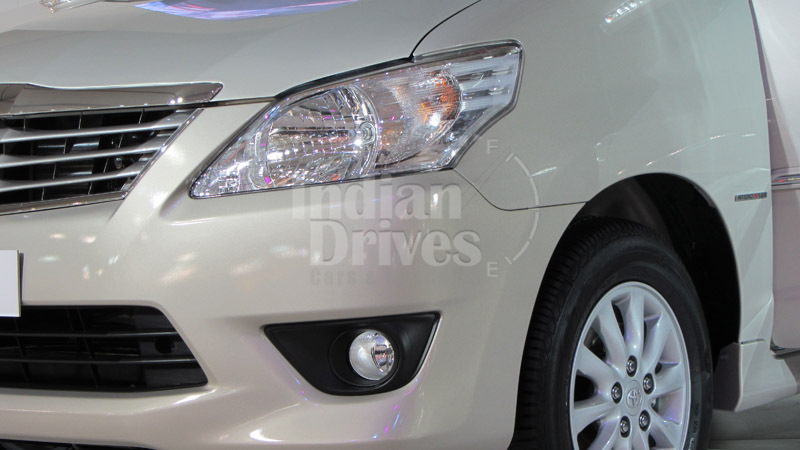 The plastics of the Innova have a lighter Beige color than its predecessor. It has a touch screen interface at the center console provides for a cockpit like feel. 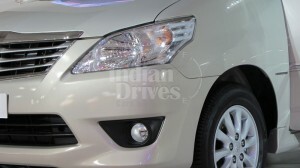 To sum up, the Innova provides a much richer experience than that of the Xylo. Now given the fact that these are MPV’s built specifically to house more people than the usual commuter segment cars we must look at the spacing available in both the cars. Let’s first take a look at the Xylo. Upfront seats do seem a tad higher than usual which makes it a little more difficult for climbing in and climbing out of the car, especially for elder people. But the leg place in the front is quite a bit more than you would expect. It is a lot roomier at the same time. Now going to the seats in the middle the Xylo still provides with ample room both for the legs and at the sides. Though the space is a bit cramped than that upfront yet it doesn’t feel stifling or difficult at all. Now shifting our attention to the Innova we find that the car seats are just the right height allowing the driver to climb in and out of the vehicle with ease. But in terms of space the seats does not seem as roomy as that of the former. The situation is the same in the middle but gets a little stifling at the back with not enough leg space for an average person. But the best bit about the space management in the Innova is that it has an adjustable seat facility for the middle rows that is absent in the Xylo. Another feature that is a plus for the Toyota Innova is the larger luggage space at the back even with the upright third set of seats. Storage space for small items can be easily tucked in the Innova. Now let’s take a look at how it feels inside both the Innova and the Xylo while driving it. The Toyota Innova has a low seating which means you can literally walk into it. While driving the Innova is much more grounded and does not give any sort of rocking feeling even at high speeds. The car has been hitting the turf for six years now and they got it right the first time and it still feels the same. It does not feel like you are driving an eight seater MUV but a much smaller and lighter car. Whereas in the case of the Xylo the seating is quite high this makes you ill at ease behind the wheels. At high speeds the car starts to rock sideways which gives the impression of being on a sailboat. Let’s now consider the engines of both the cars. The Mahindra Xylo sports the 2 .2 L 120 bhp M Hawk engine. 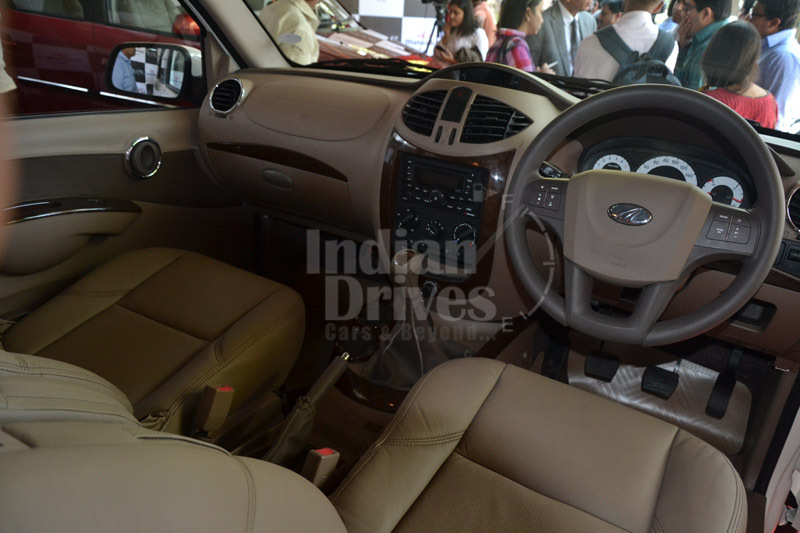 PS 4 2.5 L D4D with a 102 Bhp is the one that is incorporated in the Innova. 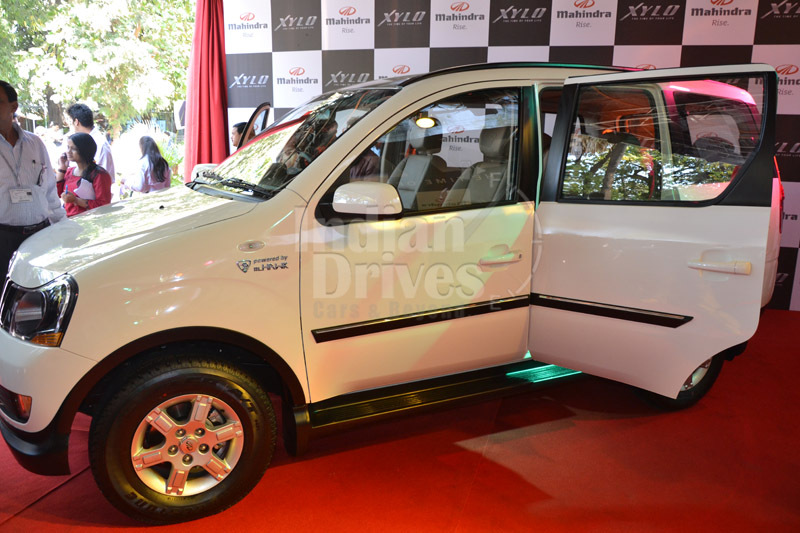 The Xylo gets the upper hand when it comes to the engine and is specifications. It is not only good while churning maximum power on the highways but also when scuttling through streets. You could be a lethargic driver ambling around at a higher gear but as soon as you put the foot down on the Xylo it’ll be ready to go. The M Hawk engine feels good in the middle on the top and even on the lower gears. Its 0-100 kmph comes up in 12 secs almost about 5 seconds ahead of the Innova. The Innova may have got a lot of it right but the only chink in armor is its engine. The gearbox mated with the Xylo has been upgraded but it feels a little slow to respond and higher gears whereas the Innova’s gearing is top-notch. Innova is good at cruising at around 80 km/h but not so good when it’s cranking out higher speeds on the highway. Noisy engine and a small fixed gear are the two of its problems at higher speeds. 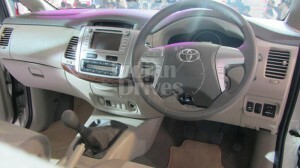 The Innova engine and does not match up to the Xylo’s M Hawk engine which does it all in a refined and relaxed manner. 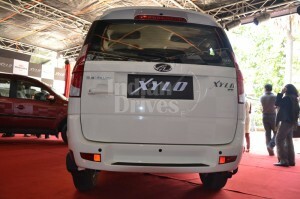 In the fuel economy aspect of things, the Xylo edges past the Innova. When the Xylo hits an overall 12.3 kmpl the Innova manages a 12.1. In the cities the Xylo gives 10.1 kmpl whereas the Innova is better with 10.3 kmpl. But the Xylo’s M Hawk engine really cuts down on the fuel in the highways as it gives 14.4kmpl against 13.8kmpl of the Innova’s. As far as pricing is concerned the Mahindra Xylo is priced a notch below the Toyota Innova. But we still feel that of the two the better investment is in the Innova. And that is not without very many reasons. Yes, the Xylo is much more affordable has better seating capabilities, is a lot more roomy and the best bit, it has the M Hawk engine which can generate some serious punch on the highways. But the Xylo has a lot of negatives too. It does not have a lot of luggage space, which is a little absurd given the fact that it is catering to out-of-town trips for the entire family. 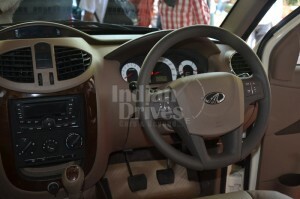 The finishing and the interior designing do not give you a lavish feel and the ride is a lot bumpier than that of the Innova. The drivers high seating position does not give much of a car like feel. Now the Innova on the other hand would be our pick for quite a few reasons. Yes it is a tad higher in costs but this sizeable investment would churn rich dividends in the years down the line. 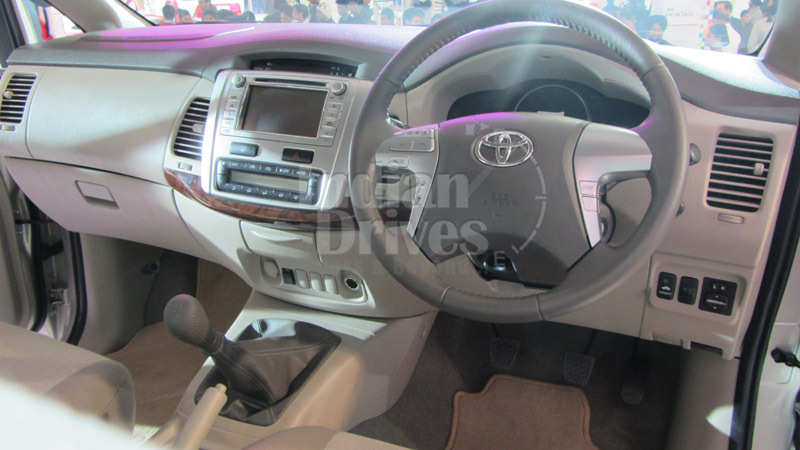 The Innova provides for a much luxurious feeling, finesse and refinement define its interiors. The luggage space is much more adequate for the eight-seater. The Innova’s driving may not be as powerful as that of the Xylo’s given the fact it is not powered by the same M Hawk engine but it gives a much more car like feel and is a lot more grounded. 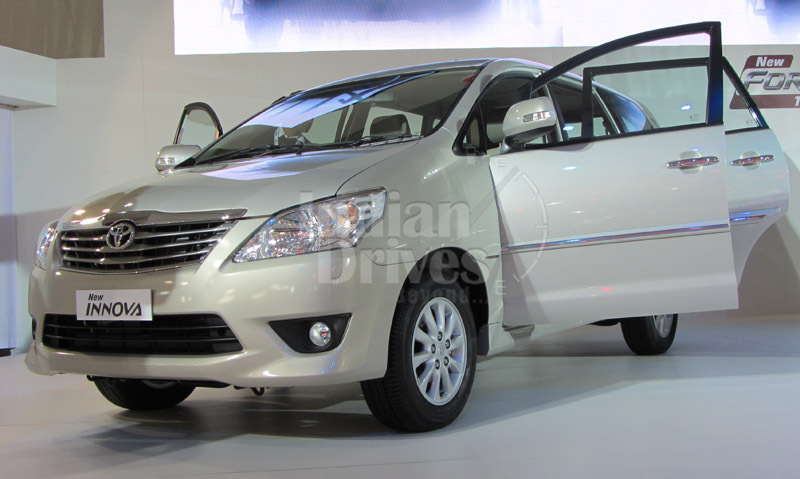 The Toyota Innova feels nothing like driving in an MU V but in a much smaller car. Overall, you will be much more comfortable making those bends and those sharp corners in the Toyota car than you would feel in the Mahindra‘s latest upgraded Xylo.